One of the most frequent question that our clients ask Americana Sportfishing/Fish Costa Rica is this: Do we need a license for sportfishing in Costa Rica? 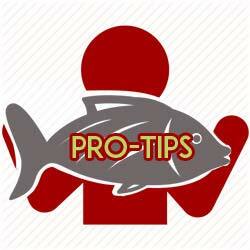 The second most frequent is: How much does a Costa Rican fishing license cost? Here’s the scoop. Officially, everyone in your group who is going to fish needs a license for sport fishing charters in Costa Rica. Fishing licenses are issued by INCOPESCA, the Costa Rican Institute of Fisheries and Agriculture. The cost is USD $15.00 for a period of 1-8 days; $30.00 for a period of 30 days, and $50.00 for a year. Be as specific as possible. And go slowly, as the English may be confusing. No payment information is required until Step 2, which is where you can add members of your group who will be fishing with you on your charter boat. Correct any errors, and begin the checkout/payment process. For each of the licenses you have purchased, there will be a blue ‘Descargar’ download button/link. Click on this link for each of the licenses you have purchased to download them. And if you don’t have a charter yet, contact us!. 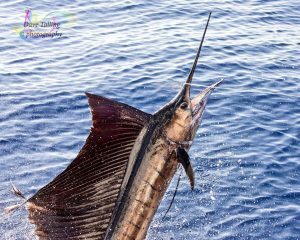 We will hook you up with Costa Rica’s top captains so you can target and catch the species you want. NOTE: You don’t have to purchase your license online. INCOPESCA has offices or a ‘fish cop’ at many of the marinas, such as Los Sueños, Pez Vela, and the new Golfito Marina. You can buy them directly; just have the right amount of cash on hand. If the fish cop doesn’t turn up – he slept in; had to take his wife to the clinic; drank too much the night before; has to fix his bicycle; his grandmother died (it’s amazing; most people here have at least 47 grandmothers and about the same number of aged maiden aunts, virtually all of whom are kind and accommodating enough to give up the ghost whenever necessity arises), etc., etc. – which happens 50% of the time, there’s no need for a license, especially if you’ve booked only a one-day charter. In any case, have some cash on hand when you travel to the boat. If the fish cop appears, first try to avoid him. Don’t make eye contact. If you can’t do that, you’ll have to fork over, no penalty. If there are women coming, tell him they are only there for the ride. And if he’s not there at all … then all to the good!